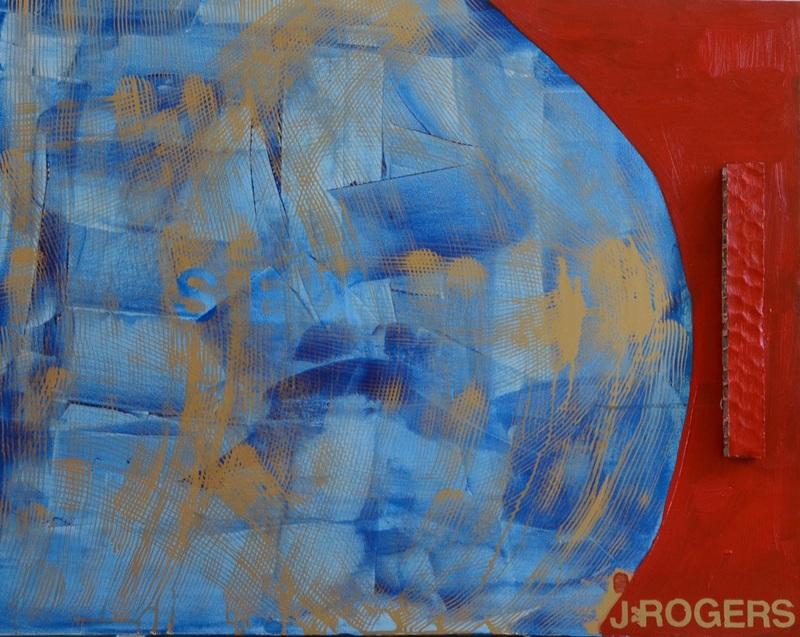 Joshua Rogers is a contemporary artist working primarily in oil on canvas in an abstract style. He resides in Mundelein, a suburb of Chicago, with his two teenage sons, having recently moved back to the area from Moscow. Over the past 20 years, Joshua has built a successful career in international business, specializing in sales, bond trading, and strategic management consulting. During this time, he has lived and worked in New York City and Charlotte, NC, as well as Moscow, Russia and Casablanca, Morocco. He recently left his position as a Partner and Head of Strategy Consulting in Russia at KPMG. During the last year, Joshua has increasingly focused his attention on painting, and is now working full time as an artist from his studio in Mundelein. Joshua’s work was recently featured at the Fountain Fair, hosted by Mana Contemporary in Chicago.